Hurricane Tips for Your Yard - Executive Landscaping, Inc. When you live in Florida, you quickly learn how to get your family and yourself ready for hurricane season. You stock up on bottled water and non-perishable foods, batteries and flashlights. You know the whole drill. You’ve even got all the necessary tools and materials to batten down the hatches on your home. But have you realized that your yard needs to be prepared for hurricane season, as well? Realize it or not, what you do in your yard pre-storm can greatly affect how your home – and your neighbors’ homes – weather the storm. It can also help mitigate any actual damage you have to your existing landscape. Once you’ve got hurricane season on the radar, you need to do certain things to ensure you’re fully braced for impact, so stand at the curb and take a good hard look at your yard to see what needs doing. 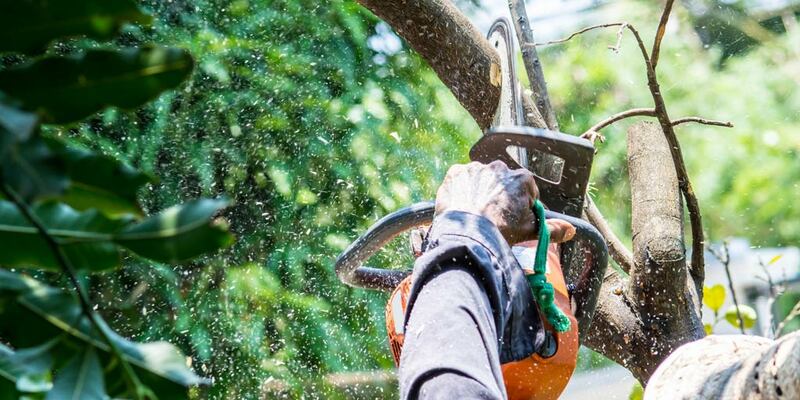 If you’ve got trees in your yard – especially any near your house – you’ll need to cut back all weak areas and remove broken or damaged branches that could turn hazardous in high winds if they make contact with your house. You’ll also need to thin out your foliage so that the wind can more easily flow throughout the property without ripping up trees and plants. Once you’ve trimmed things down, set them out at the curb for collection. Do the same with pine needles, leaves and twigs after you’ve raked and bagged them up. Any loose items in your yard such as lawn furniture should be secured. Anything broken should be removed and disposed of so that high winds don’t turn it into projectiles. Quick rue of thumb: if it can fly, it’s a hazard. If a storm has been named and you’re in its path, now’s not the time to keep up with your yard work. Nor should you start any construction projects that produce significant trash. Any type of project that will require additional collection of trash should NOT be done now, as it increases the burden of any post-storm clean up that may need to happen. Once the storm has passed and everything has quieted down, make sure to keep household trash separate from recycling, vegetation and any storm debris you might have collected. KEEP ALL of these categories of waste separate from one another in specific containers or bags so that they can be disposed of and collected in the proper timeline. Storm debris should never be placed near or up against a fence, mailbox, power line equipment, poles, transformers, downed wires, fire hydrants, water meters or storm drains. Hidden electrical hazards have the potential to injure or kill collection workers, which is why piling up the debris after a storm is never a good idea. As you tick off the boxes of your pre-storm plan, make sure that you don’t forget about preparing your yard. After all, what’s outside has the potential of coming INSIDE if winds reach high enough speeds. The less there is to deal with, the better off you’ll weather the storm. Give the experts at Executive Landscaping, Inc. a call to learn more about how we can help you prepare your yard for hurricane season and create an Executive Masterpiece for you today!